The quirky comedy Arjun Patiala starring Diljit Dosanjh, Kriti Sanon and Varun Sharma, has now added Sunny Leone in its cast. The actress will also perform a special dance number in this film. She has previously made special appearances in the Shah Rukh Khan-Mahira Khan starrer Raees and Ajay Devgn-Emraan Hashmi starrer Badshaaho. Sunny will be playing a small town Punjabi girl by the name of Baby Narula and is a beauty parlour owner. She is helped by Diljit’s character tide over a mess. Dinesh Vijan, the producer of the film told a leading daily, “In a special appearance, Sunny plays a small town beautiful and traditional Punjabi girl which is very close to what Sunny’s core is.” The actress will also be seen grooving with Diljit to a dance track in the comedy film. The song will be shot in the first week of July over three days on a special set that is being erected in Mumbai. It will be choreographed by Vijay Ganguly who is also working on the other songs in the film. Sunny’s look is being currently worked upon. The film is a comic caper that sees Diljit play the role of a policeman while Varun plays his lackey with a sarcastic tongue called Onida Singh. Kriti is playing the role of a scoop-hungry reporter with a TV channel. Zeeshan Qadri of gangs of Wasseypur fame plays the main antagonist who is called Sakool (School). After playing some intense characters in Udta Punjab and Soorma, Diljit will play a comic role in this film. The cast has wrapped up shooting for the extended schedule in Chandigarh and Mumbai. 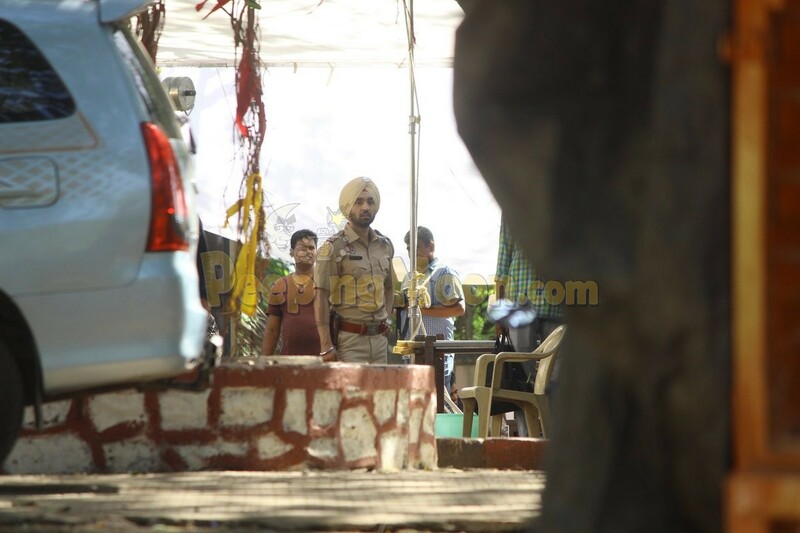 The Mumbai shooting schedule will be wrapped up after the shoot of Sunny and Diljit’s song. The film is directed by Rohit Jugraj and will hit theatres on September 13, 2018.